The crisp contemporary lines of the Silvelox ZEN garage door will create an impressive frontage to any modern property. If you’re looking for the ultimate garage door then Silvelox make the very best. These hardwood garage doors are insulated and highly secure. This door is not like other up and over garage doors that you have seen before. Silvelox doors require no ceiling tracks and, rather than using springs, they are counterbalanced with weights. This gives the door a much smoother, longer lasting operation. Almost certainly, you will want your new ZEN to be automated. 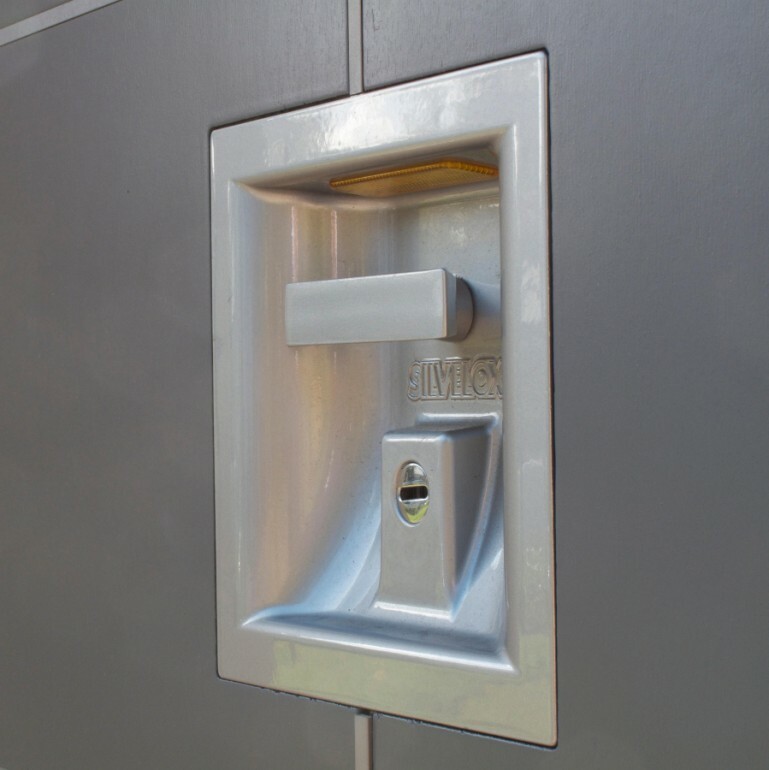 With Silvelox even the operator is neatly concealed within the head rail of the door. 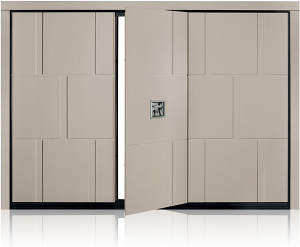 A great feature of Silvelox doors is the pedestrian door. 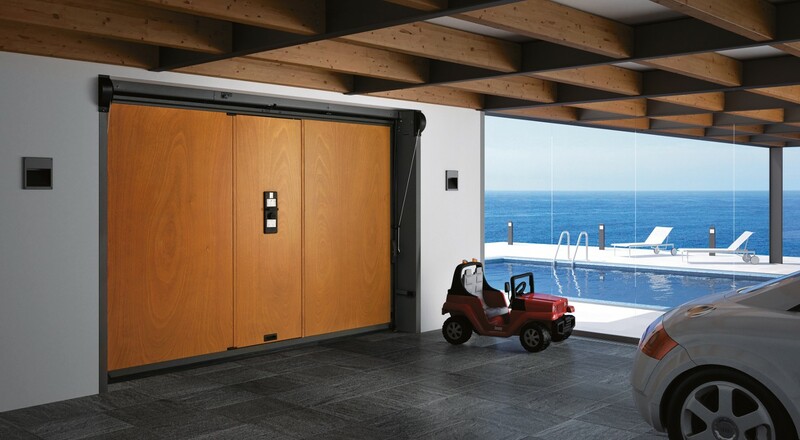 This allows quick and easy access to and from the garage without having to open up the whole door. 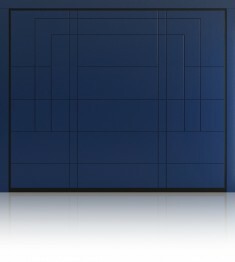 The pedestrian door blends into the ZEN design and is available for both manual and automated models. Shown here in a painted finish of Pure White RAL 9010 with Platinbronze handle. ZEN is available in any colour from the RAL chart. We can also match custom colours from samples. As standard, Silvelox garage doors use Okoume hardwood with a choice of stains ranging from light to dark. In addition, there is also a range of different wood finishes to choose from. Popular timbers include oak, teak and walnut. Silvelox Garage Doors are highly secure. They are available in two version: Secur and Secur Plus. The Secur series is a Class 1 security door whereas Secur Plus is Class 3 giving an extremely high level of security for a domestic property. This level of security is achieved by laminating a steel sheet into the body of the door. Coupled to this is the automatic locking and special fixing system. Secur Plus also comes with additional features such as extra insulation.